By Jacob Creech in Internet. Updated on February 9, 2018 . Welcome back to our latest web apps roundup. We had some great suggestions for apps in last month’s roundup, and we’ve found a bunch more that we think are very handy and useful. This month our selections include web app that helps you get into shape and eat right (yes health is no.1 for everyone), a really pretty CRM tool, a couple of web apps to help you produce the perfect resume/CV, and apps for programming online, talking about diversity! Don’t forget you can also suggest apps for the list by commenting below. We’d love your feedback on the types of apps you’d like to see, and your favorite apps. Full list after jump! Oobafit is a really neat tool to help motivate you to improve your fitness, lose weight, eat better and meet any other goals of that nature that you might have. When you first sign up to the app, you simply choose your goals – getting toned, losing weight or whatever it might be, and drag some sliders to specify certain areas of your body you would like to focus on. 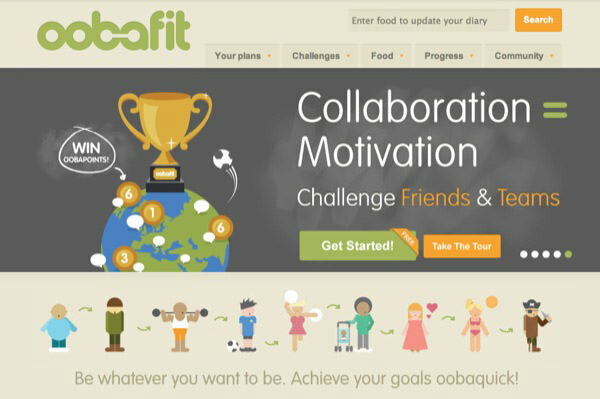 Oobafit then automatically generates a plan for you with both exercises and meal plans to help your reach your goals. If you have a Tesco supermarket in your area, you can even order food online through the service. If not you can simply print off a shopping list to take with you next time you go shopping. Pretty neat. The service is still in its infancy stage, but it’s a really great concept and looks to have a strong future. Check it out. 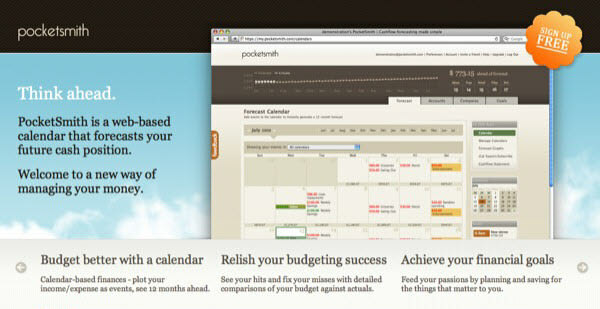 PocketSmith is an app for managing your finance, which it does in rather a unique fashion. The main view is a calendar view where you can enter all of your recurring events – payday, rent and so on, as well as one off events so you can quickly see how your finance is working out. My personal favorite feature is the graph that shows you exactly how your finances are panning out, with a forecast of where you will be in a year time as well of how you are progressing currently. Seeing your finance in this way is really motivational and makes you think a lot more about where your money is going. Pretty cool. 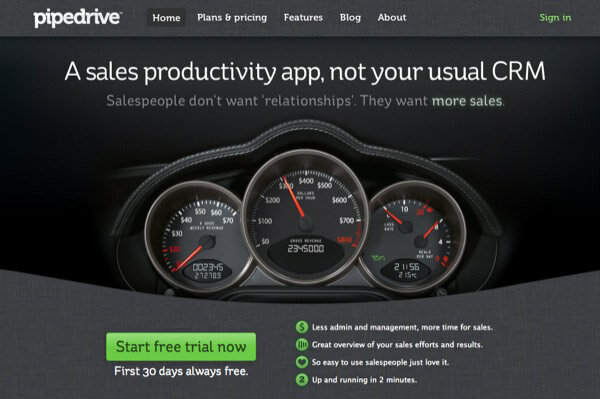 Pipedrive is an innovative CRM tool that is mainly designed around managing your sales flow. Its interface is super simple, super fast, and it’s really a pleasure to use. Pipedrive is one of the more modern feeling CRM tools that I have seen (although I’d welcome any suggestion on this front), and the fact you can easily drag and drop deals around is really a plus. It’s hard to describe how slick the interface is, but if you’ve got any needs for a CRM tool it’s really worth a look. It’s currently in beta, but it sounds like improvements and features are coming, so it’s a good time to get onboard. The Birdy is similar in some ways to OhLife, a tool we recently featured. It sends you a daily email to which you reply with your daily purchases, with totals, descriptions and hashtags (like Twitter). It then automatically sorts them out and presents you a great overview of what you’ve been spending your money on. 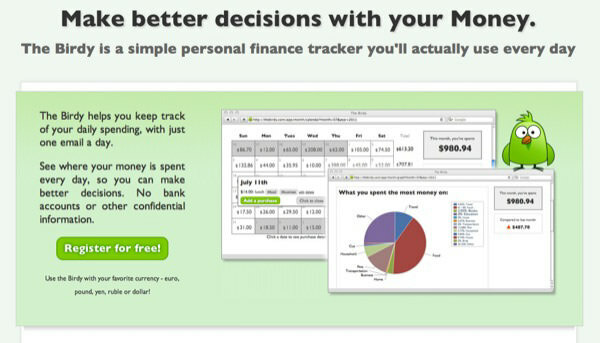 I think this is really a great concept – I’ve tried using a number of tools to track my spending before, but I’m terrible at keeping constant track of where my money has been going. The Birdy is great because all you need to do is reply to one email a day. Within that one day period it’s fairly easy to remember where your money has been going, and anything you forget isn’t likely to be major issue anyway. It’s really a great approach. 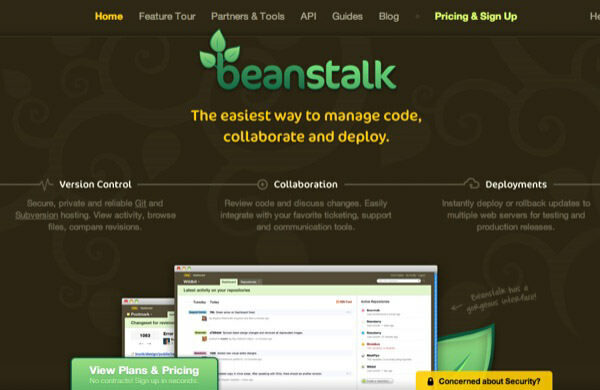 Beanstalk claims to be the easiest way to manage code, collaborate and deploy. It got version control, collaboration and deployment features all baked in, and it integrates with lots of your favorite web apps (Basecamp, anyone? ), it automatically backs up to multiple off site locations, and it looks great while doing all of this. If you’ve got a team of developers working together in the cloud, it’s really a wonderful tool – take a look. 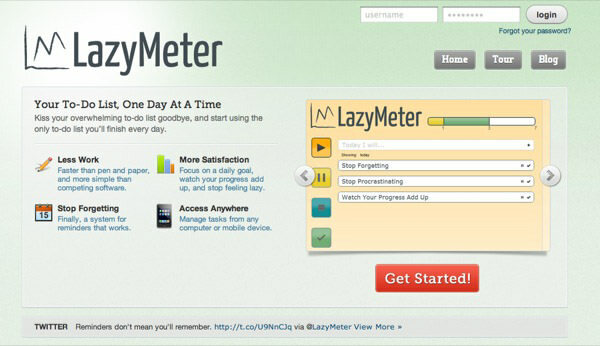 LazyMeter is a to-do list for lazy people, which is great because most people I know are too lazy to keep up with to-do lists. The key to this app is its simplicity. Entering and scheduling tasks are really an one click activity, and that means you are much more likely to set up and follow through the tasks you have listed. It has a really simple chart/graph system which shows you immediately how many tasks you’ve done, how many you have to do, and how many you’ve paused (put off to another day). It’s quite motivational and makes you want to get your tasks done. 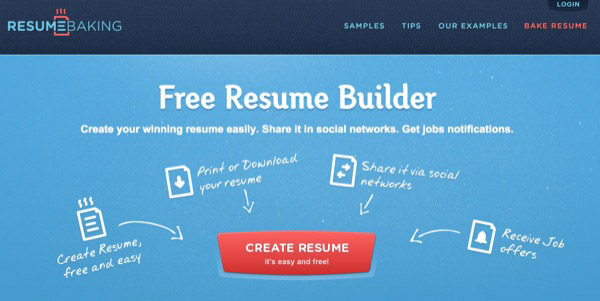 ResumeBaking is a great app for anyone hunting for a job. It got a really slick interface, and makes building a resume a breeze. 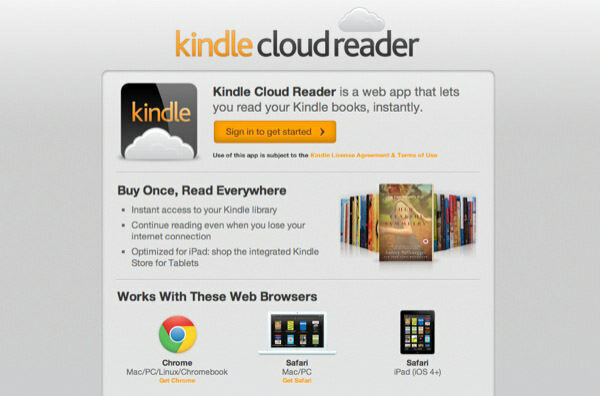 You can’t mention hot web apps this month without talking about the launch of the Kindle Cloud Reader from Amazon. I’m sure most of you are familiar with the Kindle – the Cloud Reader is the latest in their huge range of ways to access your books. It’s really cool because it syncs your last read page to all of your devices, updates automatically with all of your purchases, and best of all, the web app even supports an offline mode so you can read your books in the web app without being connected to the internet. Pretty awesome. Penzu is a great option for anyone interested in keeping a diary or journal with all sorts of neat features. 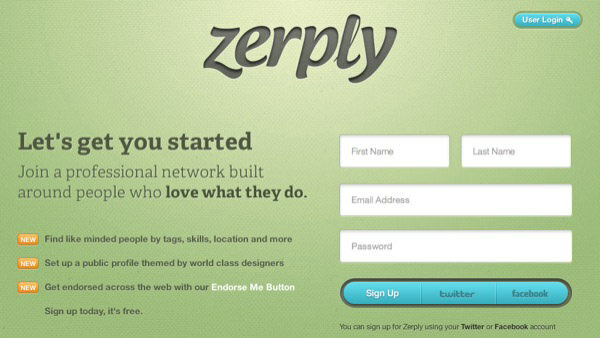 Zerply is another neat tool for creating an online resume. It’s really social, and makes the process very simple. It’s pretty cool because it links up with all of your different social network accounts. You can sign up with Twitter or Facebook, and then import all your work details from LinkedIn before going on to share it and get recommendations from people around the web. It got a great design to it, and the resumes you get out look top notch. 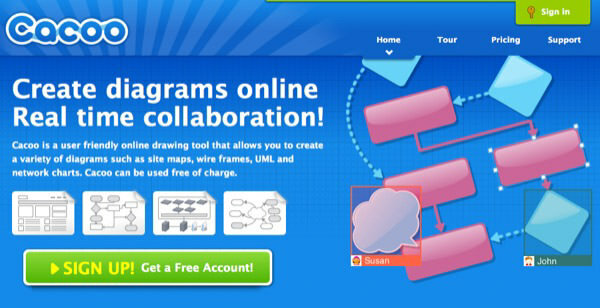 Cacoo is a tool for creating diagrams of all kinds online. It comes with a wide variety of stencils, a cool history features so you can move backwards and forwards to see what changes you’ve made; it has sharing and collaboration features built in so you can work together with a number of different people, it lets you export in PDF and SVG as well as PNG and has a range of other features to explore. If you need to do some diagramming and sharing them out, this could be what you need. News360 is an online aggregation tool that learns by who you follow and what you subscribe to the kind of stories that really interest you and the things you are interested in. It exists on almost every platform you can think of including iOS, Android and Windows Phone 7. I really like these kinds of tools as the more you use them the more value you get out of them. I’ve been using it for a few weeks, and it’s really starting to understand my interests – I get lots of Tech/Apple/Google news and keep finding a whole lot of interest stories to look though. Pretty great. That’s all for this month, but we’d love to hear your suggestions for next months’ list, as well as your comments on the apps we’ve featured this month. What is your favorite web app? What kind of web apps would you like to see more? Be sure to let us know in the comments below – we’d love your feedback. Be sure to subscribe to our Newsletter or RSS feed to keep up with all the latest and greatest web apps, and all the other great content we offer.